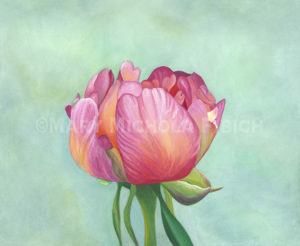 Fine art giclée prints using archival quality watercolor inks and paper available for purchase. Each print is created with a wide, white border so it’s ready to frame with or without a mat, hand-signed, and packaged with a mounting board in an archival clear sleeve. Custom and larger-sized prints available upon request.